Looking for a dumpster rental company that’s reputable and affordable? 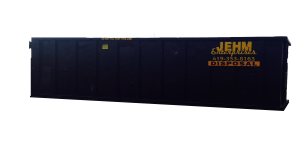 At JEHM Enterprises we make dumpster rental in Toledo and the surrounding areas simple, cost-effective and convenient. We service the Toledo, Bowling Green, Perrysburg, Findlay, and all of Northwest Ohio. JEHM is a fully licensed construction landfill. Equipped with experience and knowledge, JEHM can respond quickly to your specific set of needs. When it comes to dumpster rentals, going local makes good sense.